At this stage in my life, I'm in the unique position of learning from younger people--at first, not too easy making that turnaround. I'm accustomed to being the "elder" whose job is impart what I know to 18 to 21-year-old-students. But now that I have taken up domaining, the tables have been turned. Yeah, that's my baby picture--really dates me, doesn't it? But as far as domaining goes, I am a baby. I'm actually enjoying the experience; I feel like a sponge sucking up vast amounts of knowledge in a short period of time. Even if the money part doesn't pan out, it sure beats flopping on the sofa, watching TV in my spare time--keeps me young! I read several blogs a day, and sometimes pop in (lurking mode) on some various forums. I like Domain Tools Blog the best. Jay Westerdal seems extremely patient and must bite his tongue several times a days, but I have learned a lot from his posts and the comments from others as well. The last domain I bid on went for nearly $6,000 [LiteraryAgent.com actually went for $6,758]. While it was a pretty good domain, it was a niche (very limited market) two-word generic, with an Overture score of 500, and a Google score of about 1,000,000. For new domainers with low cash flow, perhaps this is the time to comb the fire sales (while they last–who knows?) and find among the crap and TM domains some pretty good generic domains (with little or no Overture score) that could be developed and built out. They do exist. I picked up LiteraryLanguage.com, and plan to build a very specialized open source dictionary (with ad$ense on each page) related to that term (and it’s in my field). I suppose we newbies will just have to find and develop domains in a different way. I mean, really: how many lame parking pages can the internet support before some future upstart, born circa 1995, says, “Enough, already!” and invents a http://www4 with an xyz TLD that could be 1,000 times better than dot-com and actually contains helpful information (along with the ads–of course, consumers do expect a trade off)? (Just an example–I have no inside info). I’m just afraid dot.com will eventually become associated with pages filled with ads and nothing else. I see your point, And valid point it is. But I see the future unfolding a bit differently, more of a huge boom than a huge bust for generic dot com keyword domains. I will try to give one example that I hope and think could get repeated a few million or so times over the next 5-10+ years or so. The generic domain tools.com does not appear on the first page at all. 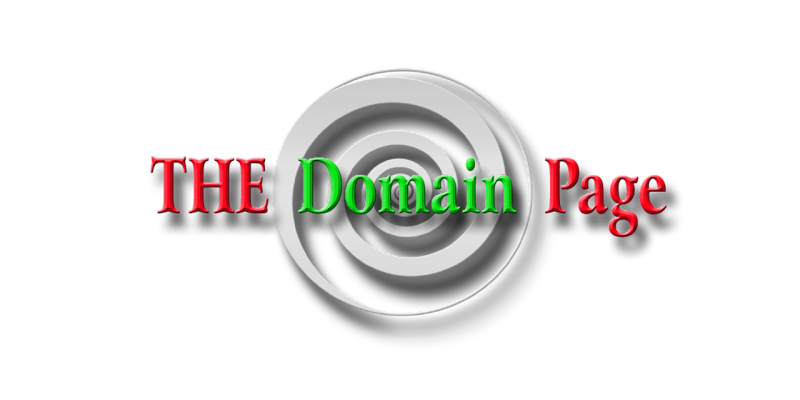 Just for my examples sake we will say the following about this domain tools.com. We will say you own the domain, You have it ‘parked’ or have at least developed a bit to show some ads and information on the subject matter of tools…and are doing quite well, making very good money from direct navigation, and have managed to get it indexed on the first page of Google, in the #1 spot for this keyword search… resulting in much more traffic and income. When I say they finally ‘get it’…I mean that they realize a well constructed website on tools.com (as described above) in the #1 spot on the 3 main search engines would bring them anywhere from 5x - 30x more traffic than their contextual ad campaigns and convert 5x-30x better. It would seem it would be a ‘no brainier’ to own this domain and use some kind of strategy like this. They would not have to discontinue their contextual advertising…but let's look at some numbers if they did. Say you're making $10K a month from just ‘pure’ type-in or direct navigation income, from PPC ads. Might you now require may say a 5-10 year multiple on this income before you would consider selling this domain tools.com? 4 years @ $600k a year = 2.4 million dollars. 5 years @ $120K (10k a month) a year = $600K. Inherent value and branding value of owning tools.com = ($500k) (most likely a lot more). For right now we are up to: $3.5 million dollars for just this one domain, and I would say you would be a ’seller’ of this domain at this price…right? I also think my ‘valuation’ for this domain is pretty conservative and does not take into account, any competitive bidding or interest if 3 or more of these companies ‘get it’ at the same time and come after you for the domain about the same time. Now this… scenario, could and should get ‘repeated’ millions of times over the next ten years or so for a whole host of different generic keyword domains. The result would be, no more flooded market of great .com domains with just PPC ads on them. I think you will have the exact opposite….A market with vastly improved websites and content for all to enjoy. Thanks so much for your thoughtful and in depth post--what you say makes sense and offers a scenario I hadn't considered; as I have said, I'm new at this. The domain I didn't win would have such future possibilities, although, as of now, the dot com generic gets one type in hit per day (according to the January 2007 Overture figure). My idriven.net parked page gets more than that, and it's not even a dot-com (I reg'd it because it's the beginning of a book title of a book I'm trying to shop around, back when I thought such domains would help me sell my book--not that long ago). I can also envision a scenario in which businesses become weary of paying millions for generic domains and decide to abandon the www dot-com altogether and develop a consortium of businesses who would then work on an alternative to the www (I have already seen www2 sites, mostly educational ones); together they would have enough money to advertise this alternative to the gills; more importantly, they could work independently of ICANN. Remember, ICANN works only because, so far, there is overall industry agreement to abide by their rules, but if enough people become p'od that can change quickly. This scares me as well: I have heard talk (maybe it was on this blog) of Google or Yahoo selling exclusive browser rights for generic direct navigation "keywords" to companies. Can you imagine what it would be like if you "owned" the word "book" so that when anyone typed "book" into the Google browser box, your search would go directly to the book dot-nothing site, no matter what you had on it (such as your grocery list), you would essentially corner the book market. In other words, if a searcher wanted a list of options, he/she would have to type in something EXTRA, like, books + "best sellers." Of course, the choice words would go to the well heeled; I can't imagine a land rush period here, at least for generics. I definitely share the same concerns shared by others, particularly the monopoly aspects of the NameJet auction venue. I'm not overly fond of Netsol's policies either, especially their extra charge to redirect a domain; I have three domains with them, reg'd when domains were $35.00 a year. In a later post, I recalled observing that Old Country Buffet has already bought the buffet.com domain--what a brilliant move. They have pretty much cornered the buffet market with that tactical decision. I'll bet they paid HUGE for it. I made this observation: "The new elite will control information access, not necessarily the actual commodities, such as oil or sugar." Streamline/Dan seems to "get" this business, and I really appreciate his taking the time and exhibiting great patience to explain this concept to this "Baby" Domainer, who wasn't "getting" it all. Sometimes it pays to listen to your youngers.